Joseph Zahn CCC Photos is something you should read. 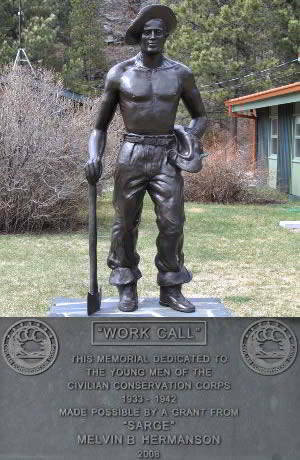 Records indicate that Joseph A. Zahn was at Civilian Conservation Corps Sand Lake (Columbia) in South Dakota. 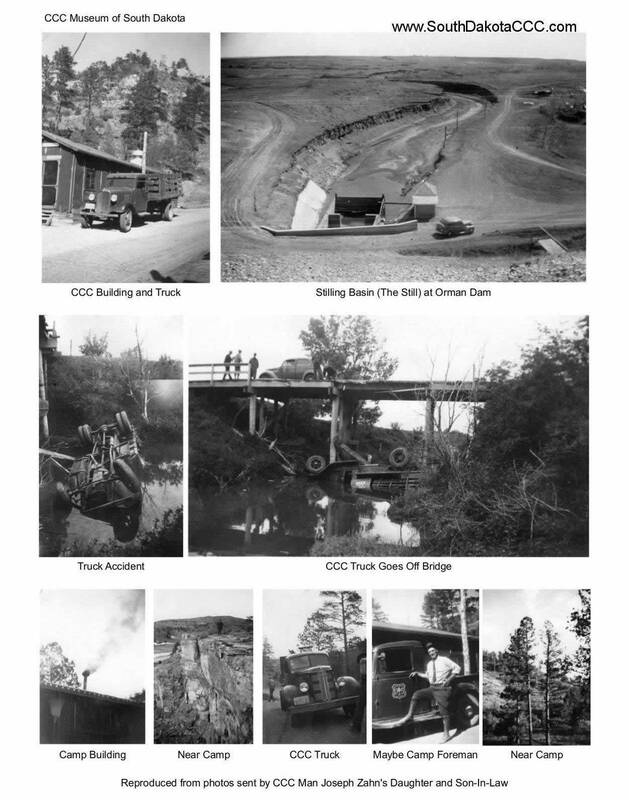 Photos belonging to Joseph Zahn suggest that he spent time at CCC Camps, Doran, Lightning Creek and side camp Red Bird and Orman Dam in addition to Columbia.